Higher current weight does not protect against a history of extreme food restriction. Bone density (BMD) impairment and comorbid psychopathology can affect women on all points of the anorexia nervosa (AN) spectrum, not just those who are currently underweight and/or amenorrheic, according to the results of a recent study (Int J Eat Disord. 2017; 50:343). Compared to the DSM-IV, the DSM-5 has relaxed some of the diagnostic criteria for AN. For example, the newer diagnostic criteria eliminate the requirement for amenorrhea, and loosen weight and psychological criteria. In addition, the guidelines add a new diagnosis of “atypical AN” for persons with psychological symptoms of AN but who aren’t at lower-than-normal weights. Dr. Melanie Schorr and a group at the Massachusetts General Hospital and Harvard Medical School recently investigated if and how BMD is affected among women diagnosed with AN by the DSM-5, including those in the new category of atypical AN. 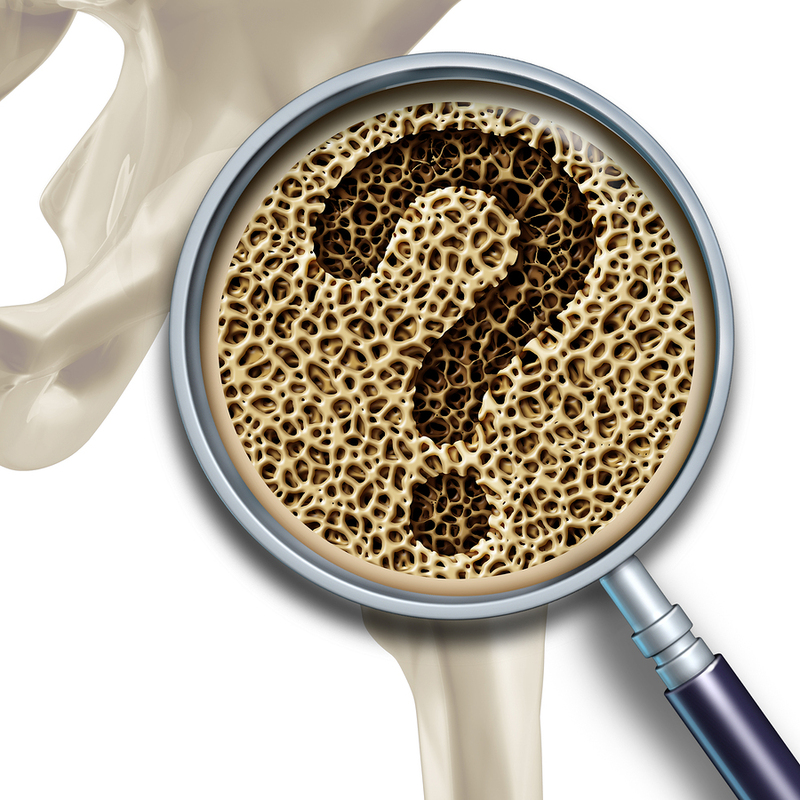 This is the first study to directly compare bone density among groups all across the AN diagnostic spectrum and healthy controls. The researchers studied 4 groups of premenopausal women ranging from 18 to 45 years of age: (1) 37 with diagnoses of AN from DSM-IV criteria but not DSM-5 criteria (DSM-IV AN group); (2) 33 with AN diagnosed with DSM-5 but not DSM-IV criteria (DSM-5 group); (3) 77 women with atypical AN (atypical AN group); and a comparison group of 21 healthy women (HC group). BMD and body composition were assessed for all the women through dual-energy x-ray absorptiometry (DXA) scans. Posteroanterior (PA) spine BMD, measured from lumbar vertebrae 1 through 4, was available for 166 of the 168 participants, and lateral spine BMD of the same 4 vertebrae was measured for 106 women. In addition, eating disorder psychopathology was assessed with a number of questionnaires, including the Eating Disorder Examination-Questionnaire (EDE-Q). Higher weight and restoration of menses do not guarantee healthy BMD. The authors also reported significant differences in body composition among the 4 groups. Mean percent fat mass was similarly low in women with DSM-IV and DSM-5 diagnoses of AN, higher in those with atypical AN, and highest in healthy women. As BMI falls, as was shown in all 4 groups, there was a concurrent loss of lean muscle mass as well because of extreme food restriction. Loss of lean muscle mass may also contribute to low BMD, according to the authors. The authors’ data suggest that severe impairment of BMD can occur even among individuals at higher weights and those who have normal or regular menstrual periods. They also report that women with DSM-5 diagnoses of AN, even those at normal weights, and especially those with a history of low weight and/or amenorrhea, showed evidence of significant bone loss when compared with normal women. Even when they weren’t underweight, women with atypical AN and a history of low weight and/or amenorrhea had significantly lower mean PA spine BMD z-scores than did healthy women. Thus, being at a higher weight does not protect a former AN patient from low BMD when he or she has a history of low weight and/or amenorrhea. Better understanding might be a motivating factor. This is an important study for several reasons. First, Dr. Schorr and colleagues note that when patients understand that pathological food restriction can lead to loss of lean mass, not just fat mass, it may be motivation for change. This is especially true for women who fear they will only “get fat” as their weight is restored. Second, women with significant psychopathology and low body fat, low-weight women with DSM-5 diagnoses of AN, and normal-weight women with atypical AN and a history of low weight and/or amenorrhea are all candidates for DXA scanning. Third, this underscores the idea that in eating disorders, subthreshold does not equate to less severe.